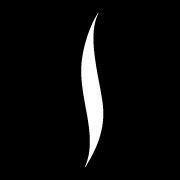 Living a Fit and Full Life: New Fall Beauty Favorites From the Sephora Collection Sold Exclusively at Sephora! 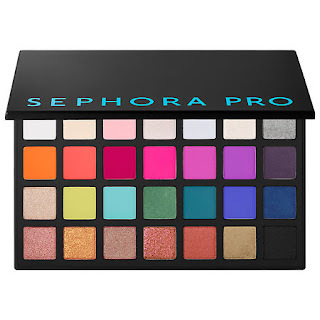 New Fall Beauty Favorites From the Sephora Collection Sold Exclusively at Sephora! A highlighting powder with a soft, suede-like texture. This ultra-blendable highlighting powder creates a soft, luminous glow with a sheer wash of color and can be worn alone or layered over blush and bronzer. Twilight—A lilac tone that gives the effect of ethereal moonlight. This two-in-one multitasker can be used as both foundation and concealer. The creamy formula does not settle into fine lines and wrinkles, and the stick format is perfect for easy on-the-go application. New fall beauty favorites from the Sephora Collection sold exclusively at Sephora! If you guys havent heard about the totally amazing Sephora Collection sold exclusively at Sephora you've been missing out. 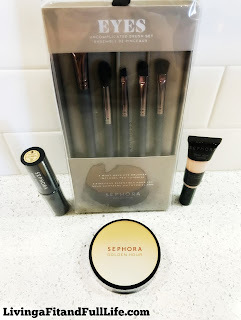 I recently had the pleasure of trying some of their newly released Sephora Collection products and let me tell you they're absolutely amazing! 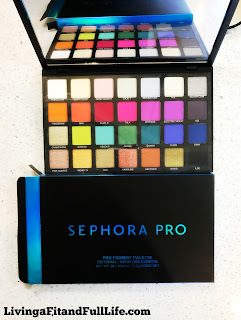 If you're someone who sticks with the same eye shadow colors I highly suggest you get your hands on the new Sephora PRO Editorial Palette and get experimenting. I honestly do love every single shade in this pallet. Normally I stick with tans and browns but since I've been branching out a bit with this lovely pallet I've been getting so many compliments on my eyes and eye shadow lately. The colors all seem to work really well and I love that there's so much variety in this pallet. It's the perfect way to freshen up your eyes this fall! Next up is the Eyes: Uncomplicated Brush Set that I've totally fallen in love with! This five-piece set of must-have makeup brushes are the perfect way to perfect your smokey eyes for fall. 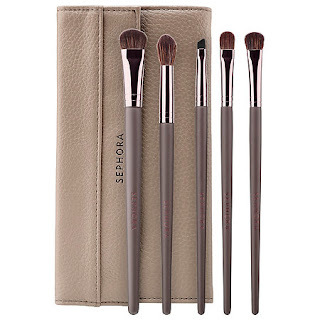 The brushes are extremely soft and I love the beautiful pebbled faux leather pouch that's perfect for on the go or travel. You'll definitely want to get your hands on this brush set before it sells out! 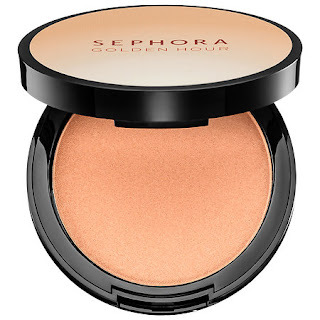 Golden Hour Luminizing Powder from the Sephora Collection is amazing! I absolutely love the luminous glow I get with this powder. It's the perfect way to give your skin some glow this fall. 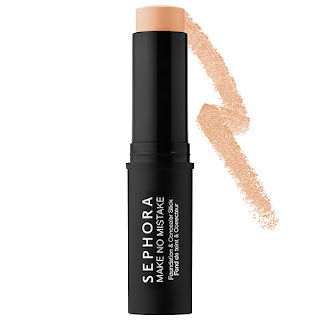 It blends extremely well and and can be worn alone or layered over blush and bronzer. It's available in 4 different shades so there's sure to be one that's just perfect for you! Make No Mistake Foundation & Concealer Stick from the Sephora Collection has a natural matte finish and I love that I can take this Foundation & Concealer Stick on the go with me. I also love that it doesn't settle into fine lines and fits in my purse with ease. The creamy formula does wonders to cover up blemishes and I love how easy it blends! 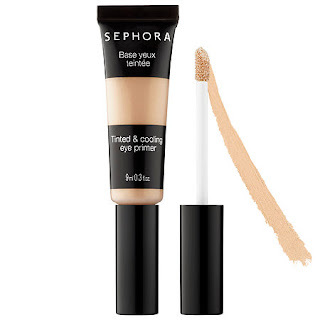 The Tinted & Cooling Eye Primer from the Sephora Collection has to be one of my all time favorite eye products because I absolutely love the cooling affect. It's the perfect way to refresh and awaken your tired eyes in the morning and feels absolutely heavenly. I also love that it's tinted and helps to cover dark circles. It leaves my eyes looking refreshed and ready for the day. It also helps my eyeshadow last all day. The Tinted & Cooling Eye Primer from the Sephora Collection is a must have product and is the perfect way to give your eyes a refresh this fall! Fall is the perfect time to give your makeup routine a refresh and the Sephora Collection sold exclusively at Sephora is the perfect way to achieve your new fall look!